Told with that distinctive Bennett touch, this play is a modern classic. It cannot be said too often that what matters is the work. "The Oxford Theatre Guild has risen to the challenge…much depends on the actors…and here OTG strikes gold." 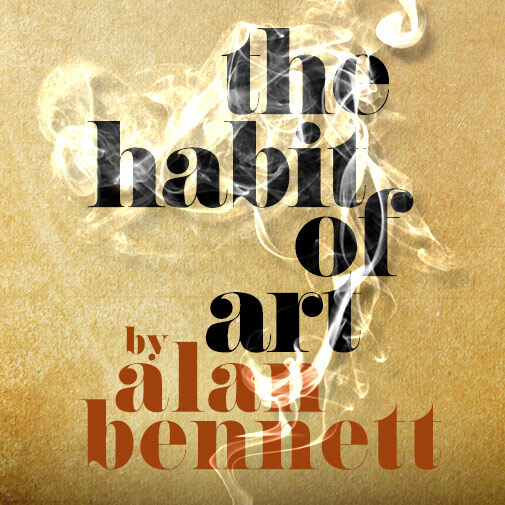 "Oxford Theatre Guild’s production of Alan Bennett’s The Habit of Art is spot on. It’s a really enjoyable evening, which carries you along lightly despite the heavy topics being addressed. Leaving Wesley Church,I tried to think of any shortcomings in the production, for the sake of a fair review, and honestly I could not think of a single one. It really is a very relaxed and rather brilliant affair." Benjamin Britten is writing his controversial new opera, Death in Venice, and needs help: who better than his old friend W H Auden? When the two men meet for the first time in 25 years, sparks quickly fly. Or do they? For this meeting is imagined, Auden and Britten are played by actors in a new play, Caliban’s Day, now entering a late run-through before opening night. The actors are stressed, the writer is in the room (and not welcome) and the private lives of the actors themselves keep interrupting the run. Bennett’s critically acclaimed comedy is as much about the nature of theatre as it is about the great figures of music and poetry at its centre. Crammed both with laugh-out-loud misunderstandings and thought-provoking meditations on artists and their work, all told with that distinctive Bennett touch, this play is a modern classic.